I'm just back from the Highlands of Scotland and my head needs time to recover from and process all the beauty that I was bombarded with in the past three days. I'm scarred from the assault of sheer beauty and magnificence on my senses. Anyway, so for a funny one. Hamish is a hairy coo. He is big, he is hairy, and he's pretty much the first thing you'll see in the highlands. He's also adorable and loves veggies! He's really famous too; do a Google search and you'll find posts, pictures, forum - all for Hamish appreciation! 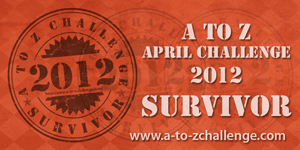 This post is part of the ongoing A-to-Z Challenge. 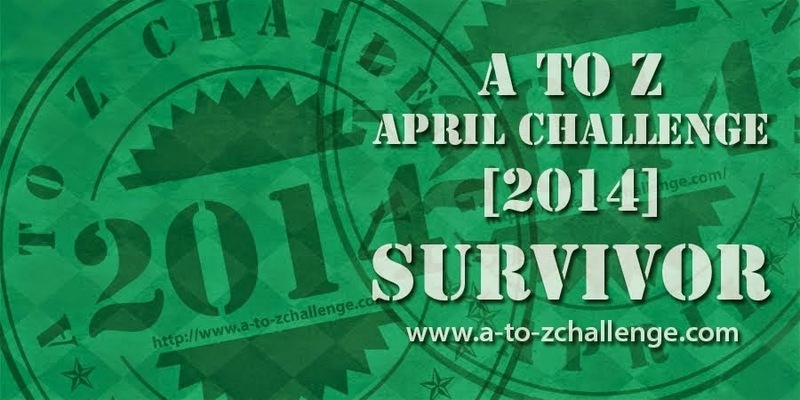 Previously, Aye, Berwick, Cramond, Disability, Edinburgh, Forth Bridge, Glasgow. He's a beauty! You wouldn't think he'd be all that friendly with those big horns! I definitely need to visit the Highlands in Scotland one day! Hearing about Scotland a lot these days. Definitely a must go place in my list. 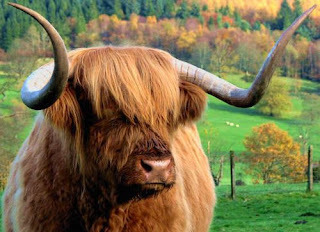 "Hairy coo." I'm learning weird and interesting stuff. Hamish is cute! When I visited Scotland several years ago didn't have time to get out into the countryside, someday I'll make it. I friggin love Scotland. I miss it. I can't wait to go back one day. It was my favorite place.